Equal vectors are vectors that have the same magnitude and the same direction. 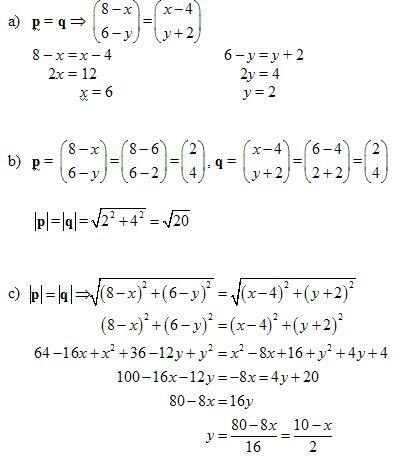 Equal vectors may start at different positions. Note that when the vectors are equal, the directed line segments are parallel. 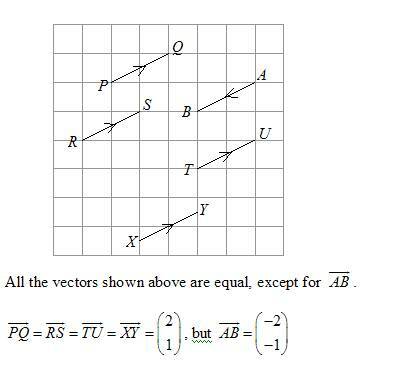 If two vectors are equal then their vector columns are equal. Two vectors are equal if they have the same length (magnitude) and direction. a) Find the magnitude of u.
b) Find the component form of the vector. What are the conditions necessary for vectors to be considered equal? Two vectors are equal if they have the same length and direction and are parallel. Are vectors u and w equivalent? No, they have the same magnitude, but different directions. No, they have the same direction, but different magnitudes. No, they have different magnitudes and directions.